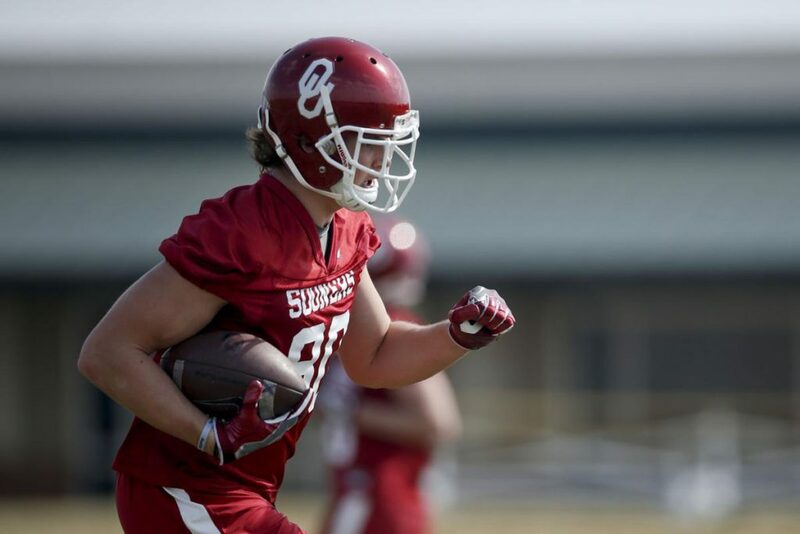 CFBDynasty ranks the best Tight Ends for the 2018 College Fantasy Football season. These rankings are certain to change multiple times before our final college fantasy rankings before the season begins. 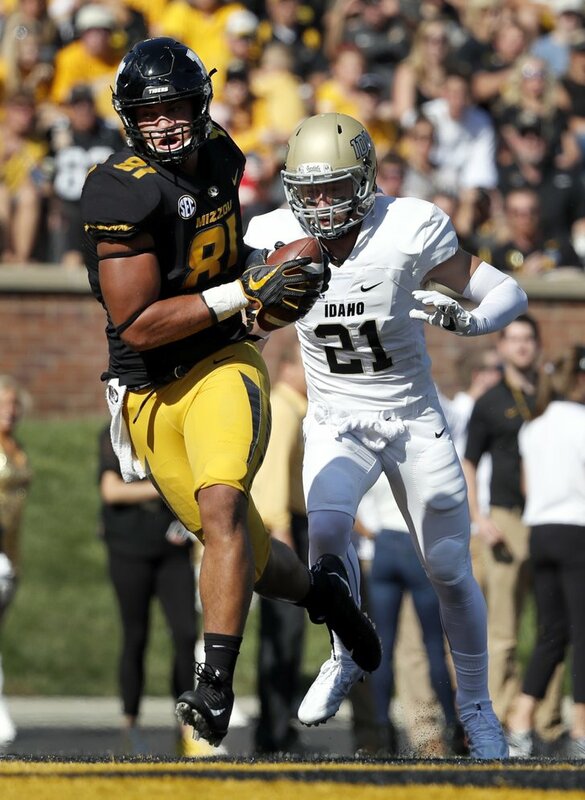 Rounding out my Tight Ends list is Freshman Nigel Kirby who I consider Goliath. He stands tall at 6-8 250 LBS. In 2017 he was playing for Garden City C.C. 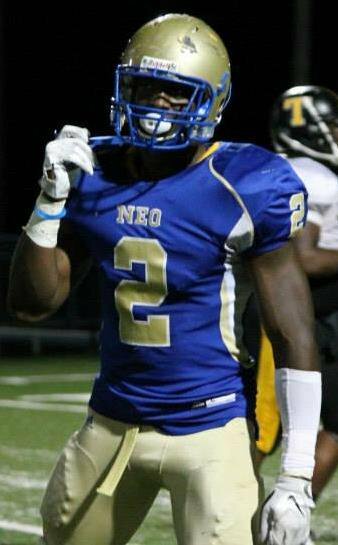 in Garden City, Kansas but was productive with 458 yards and 10 Touchdowns. Expect Bobby Petrino to utilize Kilby this year and he should see some quality targets. 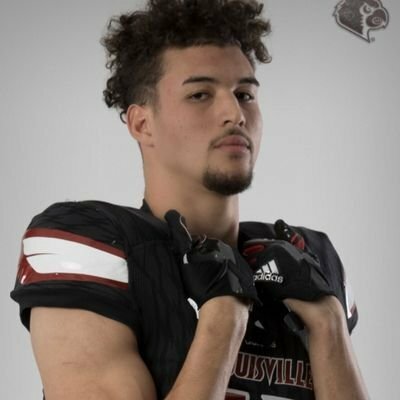 Kilby had offers from Central Florida, Appalachian State, SMU, Fresno State, and East Carolina, but ultimately chose Louisville which I believe to be a good fit for him. It will be exciting to see what he does this year so keep him on your radar and on your checklist for your upcoming fantasy drafts. Jacob Breeland had a solid 2017 campaign with 17 receptions for 311 yards and 5 touchdowns even with QB injuries hindering the Oregon offense for half of the season. As players progress and experience sets in I expect him to put up better numbers this year. Breeland has the potential to get you some nice points on your fantasy team. He has great natural talent at 6-5 and 237 LBS he has the Tight end frame you are looking for in the Redzone. Breeland was the clear No. 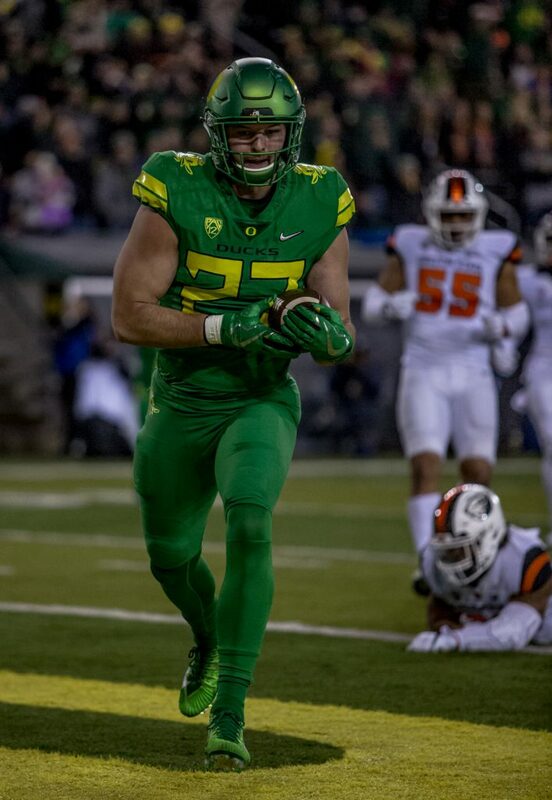 1 coming into the spring this year, but the 15 practices would be an opportunity for the Ducks to work on the depth behind him, especially with an Oregon offense that will likely feature two and three tight end sets this fall with the Ducks’ adaptation of the Pistol offense. Fantasy heads expect Breeland to be a great target and solid addition to your squad. 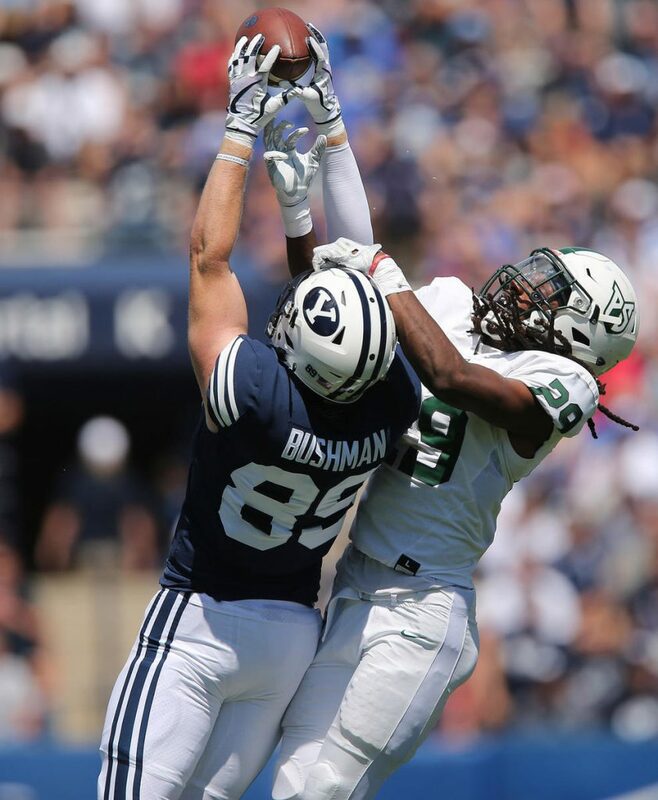 Sophomore Matt Bushman is going to be an interesting watch in 2018 and could be a Top 5 fantasy TE if he improves on his Freshman season which ended with 49 receptions, 520 yards, and 3 TD. He has all the natural talent to create mismatches for the BYU offense to put up solid numbers and be a great fantasy addition. Sophomore Tight End Albert Okwuegbunam is 6-5 260 LBS and put up great numbers in 2017. He had 29 Receptions for 415 Yards and 11 Touchdowns in 2017. Look for him to improve and be a great fantasy producer. He will be a solid pick for your tight end position needs. In this years spring game held on May 29, 2018 Okwuegbunam had only 1 reception for 9 yards, but do not sit on him just because of that. I expect him to be a great weapon for Drew Lock, the Missouri offense, and your fantasy team. Deane Mik’Quan has the tangibles to be explosive and get you a lot of points for your fantasy squad. In 2017 do not judge those numbers off of his potential if he stays healthy. In 2017 he had 11 receptions for 143 yards and a Touchdown. The ranking is mostly due to the fact that WKU uses the TE a lot in the offense. As the saying goes never judge a book by its cover because the ability and potential are there. At 6-4 240 LBS, I expect him to have a huge role in the Western Kentucky offense. Here is your steal again HEAR IS A STEAL!!! 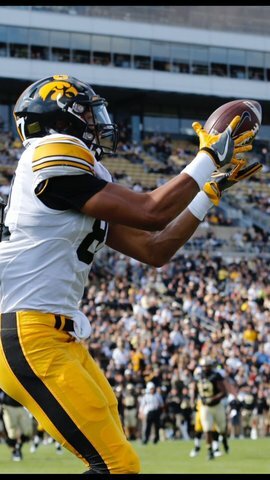 Now that you get the point Noah Fant was productive in 2017 with 28 Receptions 486 yards and 10 touchdowns. That is a great addition to your fantasy team and I am projecting even better numbers for him this year. At 6-5 235 LBS again expect him to be a red zone target, which means touchdowns, which equals points for your fantasy squad. Sophomore Caleb Wilson will be a great weapon for your fantasy team. Wilson is 6-4 235 LBS and has a new head coach at the helm I believe we all know it’s Chip Kelly. 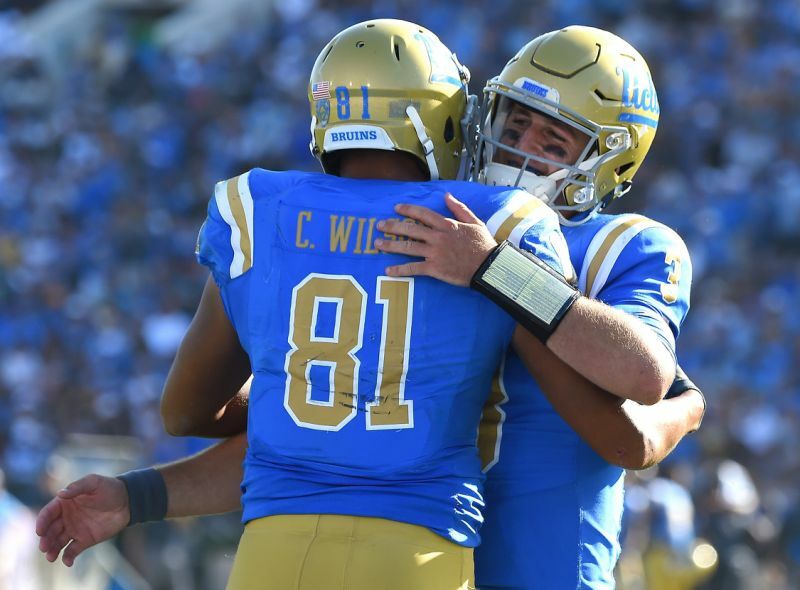 Look for Wilson to be used in the UCLA offense quite a bit. In 2017 he had 38 receptions for 490 yards and a Touchdown. This year I expect his big body frame to be used more in the offense Chip Kelly will put together this year. Remember this to last October Wilson was lost to a foot injury in October 2017 so to put up those numbers and not even play a full season is impressive. All signs point to this year being an even better year for Wilson and a great pick for your fantasy team. Hunter Bryant has so much upside and will be a fantasy steal as long as he stays healthy. 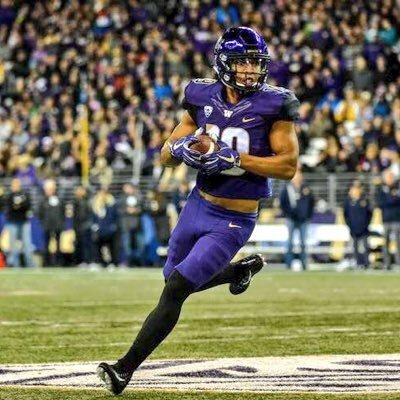 In 2017 as a true Freshman he made an immediate impact on a talented Washington Huskies team. Bryant saw action in Washington’s season-opening win at Rutgers, catching one pass for four yards and caught a 10-yard touchdown pass in the win over Montana. Bryant earned a start against Fresno State, where he caught three passes for 99 yards and had two receptions for 12 yards in a start at Colorado. Bryant had three receptions for 57 yards in a start vs. Oregon State and nine receptions for 121 yards and a touchdown in the Husky win over Cal, two catches for 11 yards in the Arizona State game, and a 17-yard reception in the win over UCLA . However Bryant did not see action against Oregon, Stanford, Utah or WSU, but did return to action against Penn State in the Fiesta Bowl. Hunter Bryant was also the winner of the Travis Spring Outstanding Freshman award at the Huskies postseason banquet. When you have a chance to grab Bryant fantasy heads grab him and expect him to be a nice target for Jake Browning. 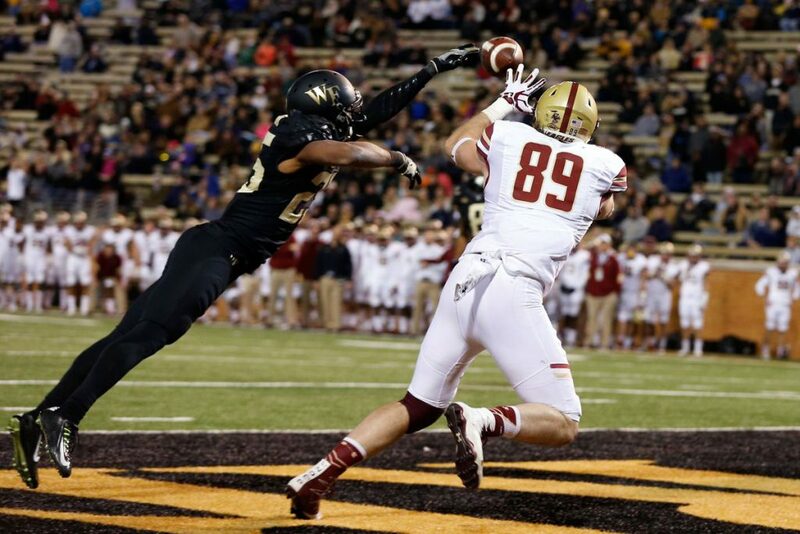 For me this is an easy answer to your tight end question, Grant Calcaterra is a BEAST!! At 6-3 232 LBS and a 40 yard time of 4.60 I mean why would he not be my number one tight end. With his size and talent expect a lot of plays going to Calcaterra especially in the Red Zone. When points are what we are after in College Fantasy Football, he is the perfect addition that your squad fantasy needs. There is a lot of production that left for the NFL last year, and Calcaterra will likely pick up where Mark Andrews left off.